Strawberry seeds come in one size: small. But, every tiny strawberry seed contains the potential for many future strawberry plants. You can get multiple types of strawberry seeds from different locales. 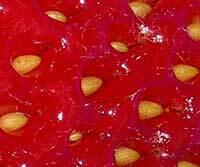 Here you get everything about strawberry seeds brought into focus. The purpose of this site (Strawberry Plants .org) is to inspire gardeners of every type to gain an appreciation for the strawberry plant and its fruit. As a fondness for the sweet strawberry grows, we hope that many gardeners will decide to grow strawberry plants from strawberry seeds. This Strawberry Seeds page is here to help those people who want to take a strawberry seed and nurture it until it is a mature strawberry plant producing strawberries! There are countless thousands of online merchants these days, and they sell every imaginable product, item, thingamajig, and plant. Of course, you can buy strawberry plants online these days too. In fact, there are many sellers of strawberry seeds just waiting for you to hit their homepage. Well, do you want to know where to buy strawberry seeds? Look no further. You can use this page to purchase strawberry seeds according to the specific variety or varieties you want at the best possible price. The work has been done for you! Just click the name of the strawberry variety in the table below for which you are looking, and you will jump to a table listing all the known merchants who offer that variety of strawberry plants for sale. Shipping strawberry plants within a country is generally relatively easy to do, IF there is a reliable and trustworthy shipping service/system in place. However, shipping strawberry plants (or any other plants) across international borders is quite a bit more difficult to pull off successfully. I often get requests from people all over the world asking how they can get strawberry plants shipped to them. To understand what is involved with shipping strawberry plants internationally or domestically, just keep reading! I have received several requests from people looking for pineberry seeds for sale. Over the last year or two, many people have become interested in the “new” strawberry hybrid that has white accessory flesh and bright red seeds. The introduction of these pineberries into the commercial retail store chain Waitrose in the United Kingdom (albeit on a limited basis) caused a surge of interest. The unique selling point for pineberries is their unusual flavor. They have a flavor that is a fusion of traditional strawberry flavor with pineapple overtones. Hence, the pineapple + strawberry = pineberry. The pineberry has been billed as a new strawberry variety. In fact, that is not quite accurate. While new to the commercial markets, it is actually quite old. But, as this post deals with why it is so hard to find pineberry seeds for sale, please refer to the longer post that deals with the history and confusion surrounding this cultivar here: Pineberry Pineberries. 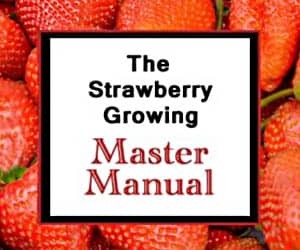 This page is a directory of suppliers who offer strawberry seeds for sale online. If you are looking to buy strawberry seeds online, this listing should give you plenty of options. If you know of a supplier or are a supplier and would like to be added to this list, feel free to contact us. This listing is alphabetical. If you want to purchase live or dormant strawberry plants instead of strawberry seeds, visit our directory here: Strawberry Plants for Sale Online. Or, shop by variety here: Buy Strawberry Plants. And, prior to buying any seeds, be sure you understand the nuances of Strawberry Seeds and Growing Strawberries.